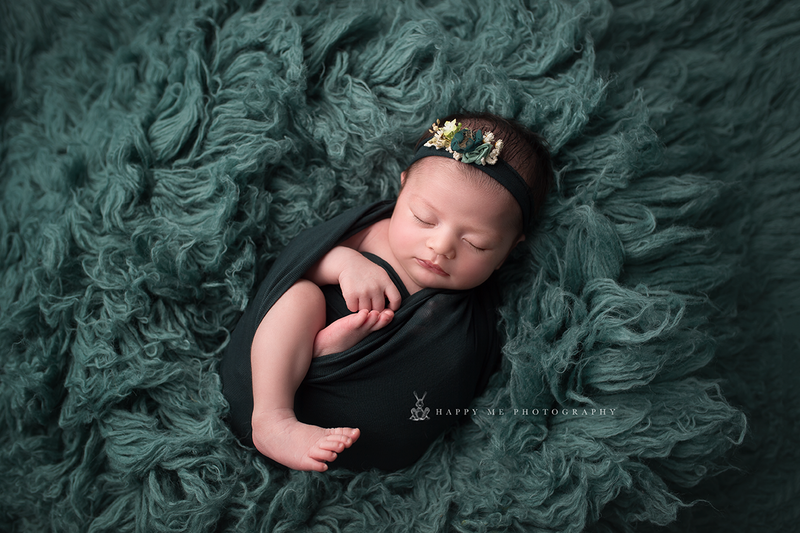 This sweet little one was only nine days old at the time of her Newborn Session. She was very cooperative throughout the whole session, as she slept deeply throughout the entire thing. She is just such a stunningly beautiful baby. That alabaster skin, rosy lips, and dark hair are to die for! She had the most adorable fingers and toes too. I just could not get enough of this little one, she just melts your heart. As a newborn photographer, I absolutely love the colors that mom, Aubrey, chose for the session. They are not used as often as the traditional pinks and purples, and I loved the way these turned out. The neutral gray as a background color, with pops of teal and coral, made for a very visually appealing color palette. This sweet girl looked just like a living doll! 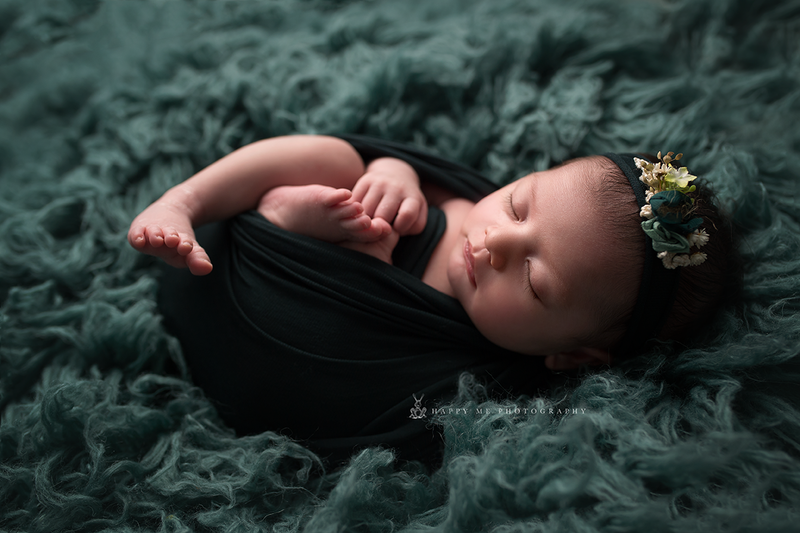 Her pretty flowered headband and vibrant floral swaddle lent the perfect feminine touches. 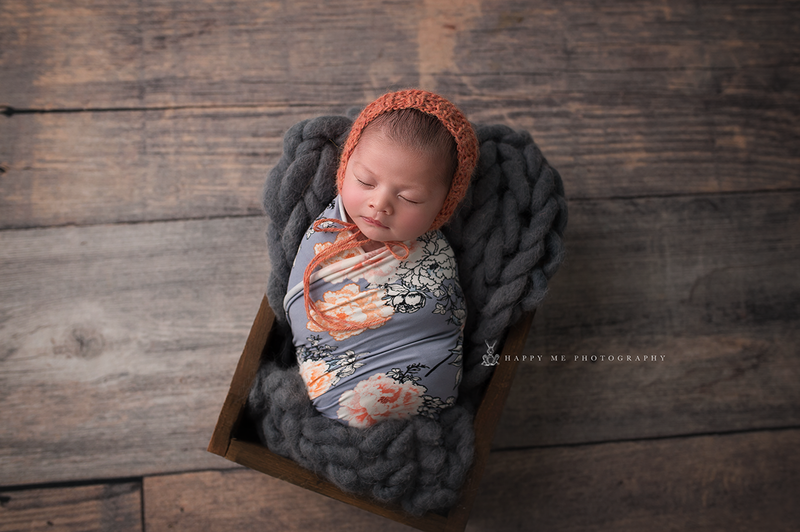 I am really into using these pretty floral swaddles, they just keep coming out with such amazing and detailed patterns. Mom also brought her sweet little girl’s puppy sister along so that we could get some images of them together. I just love dogs! We captured some images of the the happy little doggy in the basket. This little fur baby sure does love her new tiny human sibling. They are sure to be the best of friends. 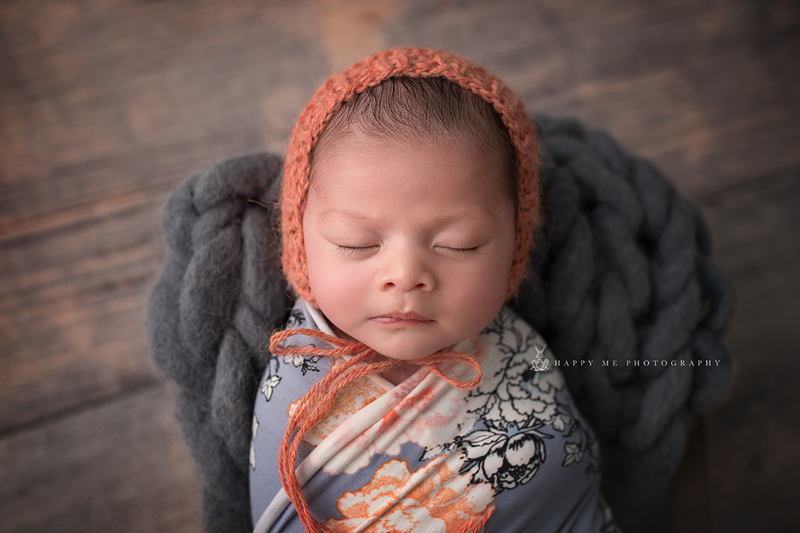 I am absolutely thrilled with the images we captured over the course of the session, and I am so glad that I got the chance to work with this lovely family as their Newborn Photographer Menlo Park.